This petition has been created by Dr Lilliana C. and may not represent the views of the Avaaz community. The construction of Hydro-Power DAMS is increasing along the Mekong River with dozens of dams planned on the mainstream of the Mekong and many of its major tributaries. These are putting at risk the food security for 60 Million people and the ecological stability of the Mekong River ecosystem. The DON SAHONG Dam is the second Hydro-electric Dam already in construction by Lao PDR(the first being the controversial Xayaburi Hydro-electric Dam), despite strong opposition from Vietnam & Cambodia... The Don Sahong Dam willblock the "Hou Sahong Channel", which is the only year-round channel for dry season fish migration in the Mekong. The massive sediment retention caused by the Dam will ensure the "Shrinking" of the MEKONG DELTA. This in turn, will reduce the productivity of this "aquatic nursery" (the Delta) for both river and oceanic species. Lao PDR must take responsibility for its actions. Lao PDR must ensure you do not harm downstream communities in neighbouring countries. Cost of loss of food production areas (rice, vegetables, fruits) and fisheries, due to damage to the delta - the most productive area of all rivers … to mention a few. As you can clearly see the costs associated with the construction of Dams far outweigh any benefits to your country, particularly given that the profits of sale of energy will not stay in Lao PDR but will be enjoyed by other corporations. 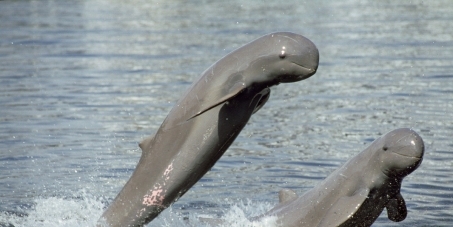 The Don Sahong Dam will also lead to the EXTINCTION of the last 71 Irrawaddy dolphins in the Mekong River -as it will be located just 1Km upstream of their main habitat - it will reduce the fish populations and thus their food supply. Finally, the Malaysian dam developer Mega First Berhad - has not done the trans-boundary environmental impacts studies recommended… This alone could have disastrous consequences for the Mekong River system, the communities dependant on it for their livelihood and the Dolphins. We remind you that in the declaration following the Mekong Summit in April 2014, Prime Ministers from Thailand, Cambodia, Vietnam and Laos agreed to prioritise studies assessing potential effects and consequences of major hydropower projects. Also, the Vietnamese and Cambodian delegations requested the suspension of major dam developments until after the studies' completion and subsequent development of management guidelines protecting food security and livelihoods. We thank you for taking into consideration the needs of other neighbouring countries in the Mekong basin, and ask you to SUSPEND any dam construction for another 10 years, until you have the appropriate information. The alternative proposed is that the Mekong River Commission (MRC) develop a NEW program to invest into alternative sources of energy that are viable long-term and have a lesser impact on the communities, the dolphins and the Mekong River system. We are grateful for your understanding and prompt action.